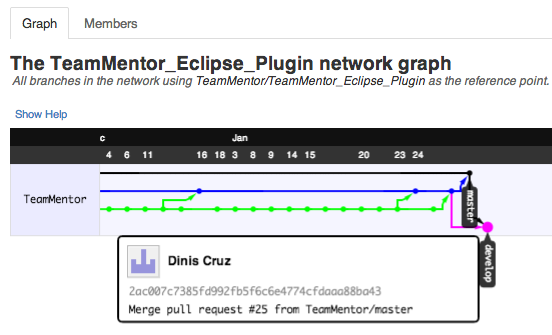 One of the areas that tend to case some problems with GitHub 'Forking model' workflow, is the need to have the Forks updated with the commits that have been added to the Parent repo (i.e. the repo that was used to create the Fork from). 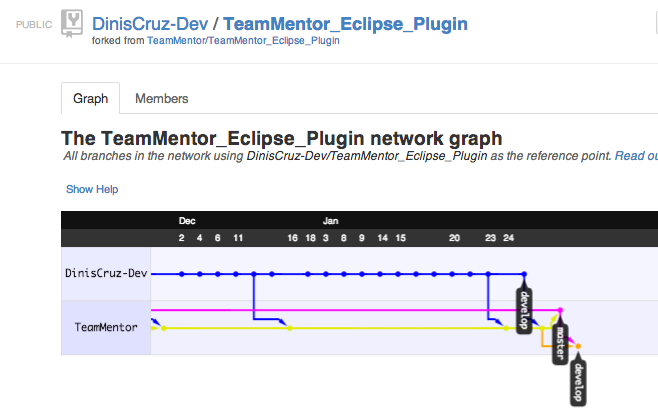 For the example show below, I'm going to update the DinisCruz-Dev/TeamMentor_Eclipse_Plugin repo which is a Fork of TeamMentor/TeamMentor_Eclipse_Plugin (here also referenced as the Parent repo). The Fork repo has NOT been updated with the final commits. 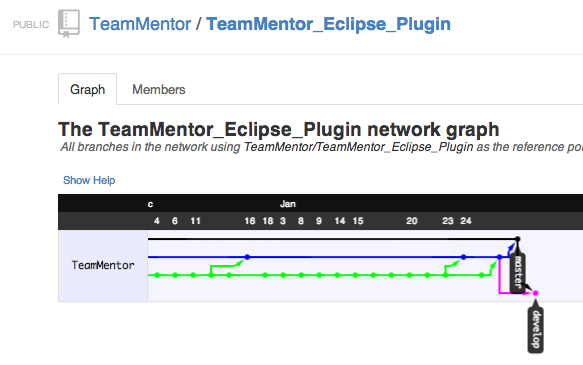 Looking at the common commits, might help to visualise what is going on. The practical consequences of this situation, is that the Fork is currently in an 'incompatible' state with its Parent , and it will not be possible to send Pull Requests/code-fixes upstream (note that this is 'by design' since Git does not allow merges when there are no common parents).